Bruges is definitely a gem. When we were planning for our trip, we were already set to maximize our day in the city as much as we can. 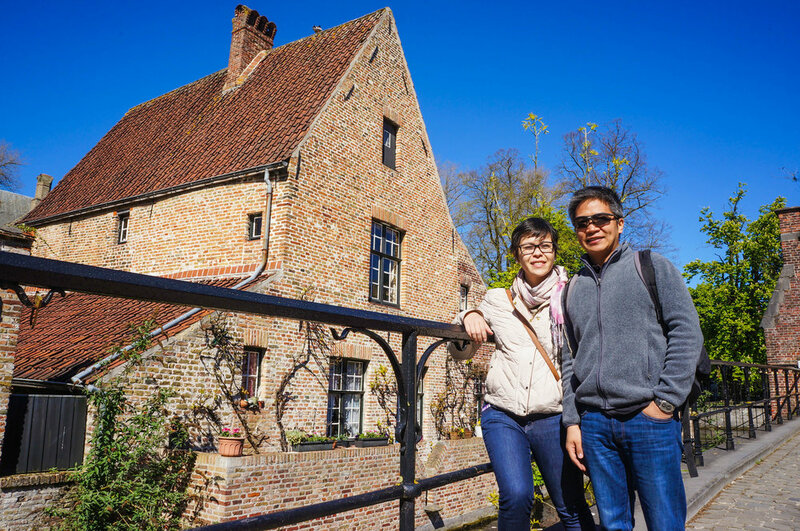 There are two ways one can explore Bruges for a day: 1) Join a guided tour 2) DIY it. We opted to join a walking tour by Sandeman's NEW Europe tours. Previous positive experiences with Sandeman's free walking tours made us decide to join a paid tour in Bruges. It's a decision we didn't regret as we enjoyed the day immensely without having to worry about crossing things off our list. You can definitely do this by yourself with enough research online, but I felt that I didn't want to lose any time figuring out the train schedules, missing the train, getting lost, etc. The guide's amusing and (very) entertaining commentary made the trip unforgettable, too! The tour took four hours and we had the rest of the day to spend as we please. Bruges is around one hour away from Brussels by train. We were tempted to rush through Bruges and sneak in a quick Gent side trip as it was on the way. But we decided against it last minute, and we're glad we did. To say that Bruges is beautiful is an understatement. It is enchanting and charming, it draws you in and makes you feel you are in a fairytale. 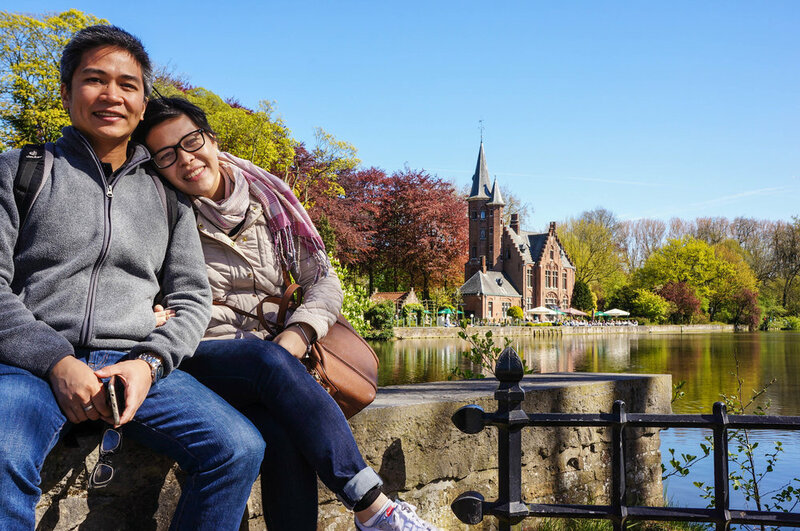 The leisurely walk was filled with wonder as various canals winding through the city leads to several architectural treasures and quirky shops selling trinkets and Belgian chocolate. We joined the people enjoying hot chocolate and beer in the sun as if time stopped ticking. 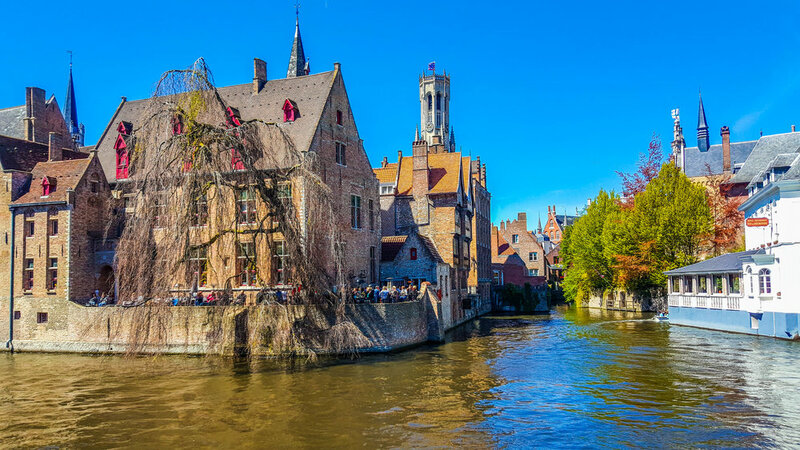 How vibrant can Bruges be? A fork in the.. canal. The Dijver Mansions. Our stroll brought us to over a bridge past the Sashuis (Lock House) and into the Béguinage where a row of white houses now house Benedictine nuns. 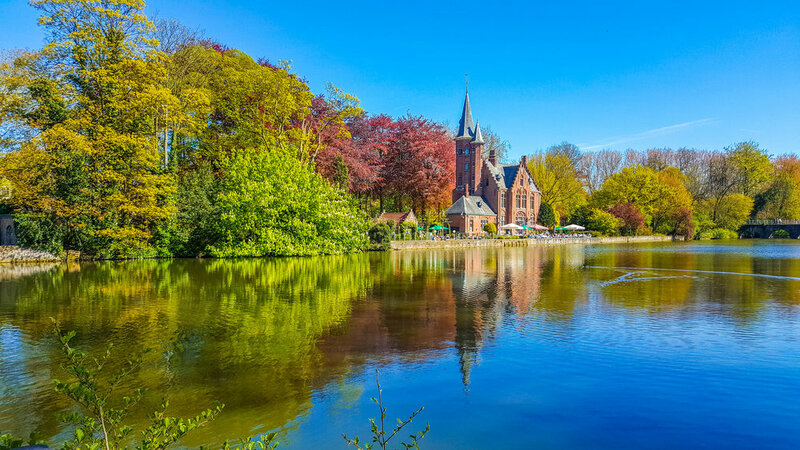 This place is already near the picturesque Minnewater (Lake of Love). You can spend an eternity just entranced by the beauty of it all. No wonder it is called the Lake of Love. It was made particularly special by the vivid colors of spring. It feels like each leaf, each bloom can't wait to burst into life. We crossed the bridge over Minnewater to get to the other side where we found a park locals laze around in and families are having picnics. It's a welcome reprieve from the crowds at the city center. Tell me of beauty and I'll show you this. Link across Minnewater (Lake of Love). To see the colors of spring coming to life is nothing short of spectacular. Lake of Love (Minnewater). How apt the name is. Wow. Five Years of Boring Togetherness.